MORE THAN A QUARTER MILLION SAW THE THEATRICAL RELEASE OF THE DROP BOX AND WANT TO HELP ORPHANS AND ADOPTIVE FAMILIES. SIGN UP TO LEARN MORE THROUGH EMAIL UPDATES—AND RECEIVE A FREE GIFT! 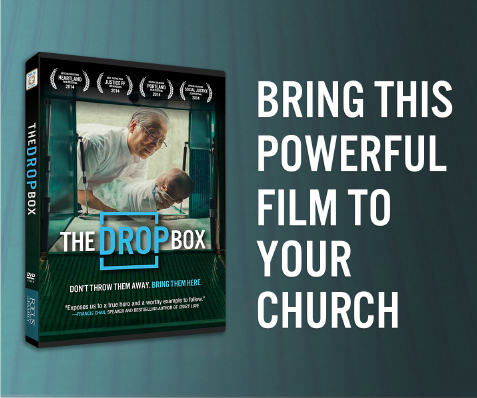 The Drop Box tells the story of South Korean pastor Lee Jong-rak and his heroic efforts to embrace and protect the most vulnerable members of society. It is a heart-wrenching exploration of the physical, emotional and financial toll associated with providing refuge to orphans that would otherwise be abandoned on the streets. But The Drop Box movie is also a story of hope—a reminder that every human life is sacred and worthy of love. South Korea is not the only country grappling with the issue of orphan care. Around the world, there are more than 150 million orphans waiting for forever families to call their own.